Heather Grey is 90% cotton, 10% polyester. Shoulder-to-shoulder tape and seamless collarette, double needle neck, sleeve and bottom hem, heather Grey is 90% cotton/10% polyester, white available with cotton thread, ladies style is fashion cut for women with 5/8 inch rib collar and fitted tapered. 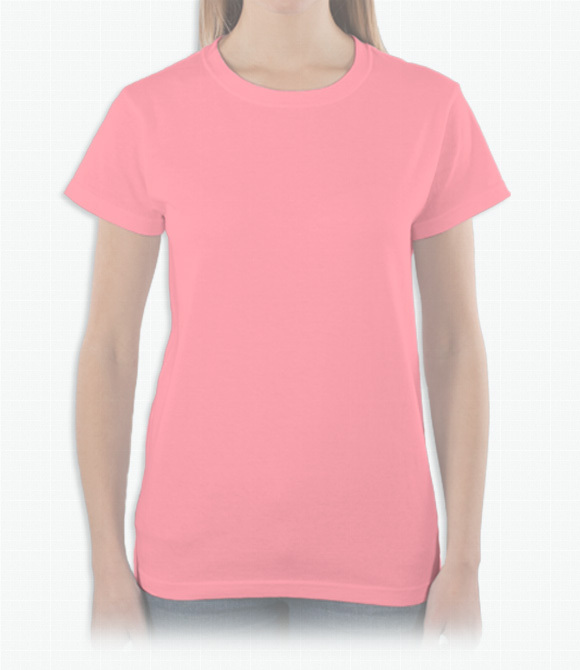 Designed to fit comfortably and easily, this soft and economical shirt will make you smile. "Seems sturdy and well made. I feared the worst because of the low price, but they look like they will hold up to girls' camp pretty well." "the fabric was alot lighter then i may have intented it to be but very soft and comfortable . " "I ordered the women's shirt and they were very wide for a woman's cut. Otherwise, service was great. "